Skagway is known as the “sunshine capital” of southeast Alaska, receiving just 27 inches of precipitation a year. The year-round population of Skagway is 920 residents, which more than doubles in the summer. During the gold rush, Skagway boasted a population of 12,000. Skagway is also known as the “Gateway to the Klondike,” a reference to the famous Gold Rush to the Yukon of the late 19th century. 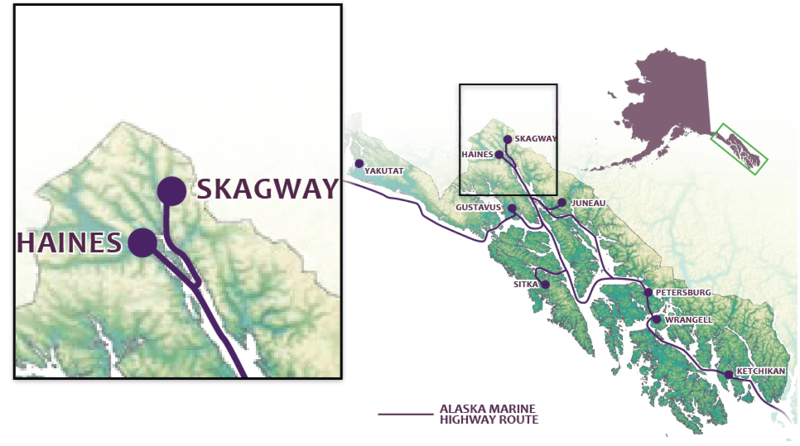 Skagway was the first incorporated city of Alaska (June 28, 1900), beating Juneau by one day.